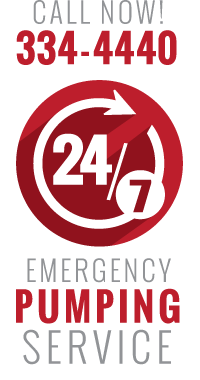 You can count on A-1 Pumping & Excavating to repair your septic system using the most financially efficient and environmentally responsible methods available. Whenever possible, our goal is to provide our customers with options for repair that will yield high-quality results at a cost-effective price. We value each and every customer and appreciate your business – no matter how big or small the job. Our goal is to provide honest and reliable septic repairs and services to residential and commercial customers all over the Sioux Falls, SD region. A-1 Pumping & Excavating also offers an exciting new service to our customers that utilizes a patented technology to intermittently aerate the drainfield and surrounding soil. This method is used as an alternative to aerating the wastewater in the septic tank. It allows failed septic systems to rapidly rejuvenate, extending the lifespan of the drainfield and the septic system, while enhancing the treatment process. Rejuvenation is currently being used by over 2,000 different septic service providers throughout the United States and Canada and has proven successful in a wide range of different climates and soil types. This technology has been applied in residential situations for both single and multi-family dwellings, as well as commercial situations, servicing hotels, laundrymats, grocery stores, food processing facilities, healthcare services, marinas, restaurants and more. For more information about our septic repair and rejuvenation services or to schedule an evaluation with one of our licensed and certified technicians, call A-1 Pumping & Excavating at 605-334-4440. 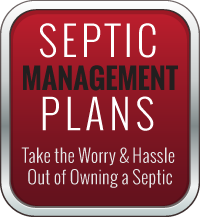 Ask about our Septic Management Plans, designed to keep your septic system running properly to avoid costly repairs and emergency services in the future.